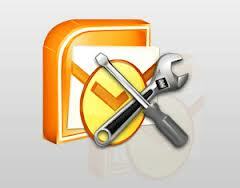 It can easily repair all kinds of corrupted or damaged Outlook files. This software can even repair PST file larger than 2GB in size. This software allows you to select a specific item that you want to recover and restore. It even repairs data from password-protected PST file. Before restoring the repaired PST files it displays all the scanned items so that the user can choose the file which he wants to recover. It even allows you recover emails that you have accidently deleted from your Folder. It also recovers Outlook attributes from damaged PST files during repairing process. It is compatible with MS Outlook 2000, 2002,2003,2007,2010 and OS windows 8/7/Vista/2003/XP/2000/NT4 (SP6).